What to look for when buying a used Nissan Sentra? The Nissan Sentra was introduced in 1982 as a subcompact car and has since evolved into a compact and then midsized car. The Sentra is produced globally under various model names for differing markets. In the United States, the current-generation Sentra is considered a midsize car by EPA standards, but is sold as a compact. The Sentra replaced the Datsun 210 and is now produced in Tennessee for the North American market. The first-generation Sentra began production in 1982 and was available as a two-door coupe or hatchback, four-door sedan, and five-door wagon. It began as a subcompact front-wheel drive vehicle and has been that way in every generation since. Two small displacement four-cylinder engines powered this Sentra. Near the end of this generation's life, production of the Sentra moved to Tennessee for the North American market. The second-generation Sentra came in 1985 as a more upscale car than its predecessor. All body styles were kept and a sport coupe was added. Small (less than two liter) engines continued to power this generation of the Sentra. Transmissions remained largely the same as well, with a four-speed and five-speed manual as well as a three-speed automatic. The third-generation Nissan Sentra was introduced in 1990. Fuel injection and other modern upgrades improved the car's engine output and power delivery without sacrificing efficiency. The fourth-generation continued this from 1995, further improving the chassis design by removing the independent rear suspension and going to a torsion beam setup for lighter weight. Many owners saw up to 40 miles per gallon in this generation of the Sentra. The fifth-generation Nissan Sentra came in 2000 and saw the Sentra become a true compact, rather than subcompact, in size. Production moved to Mexico for the North American market to allow Nissan's truck-based vehicles more room for production in the U.S. Four-cylinder engines remained the Sentra's only option. In 2007, the sixth-generation Sentra was introduced and grew in size to become classified as a midsize car, despite Nissan still calling it a compact. Engines grew to over two liters at this point, but remained four-cylinder powerplants. The automatic transmission was replaced with a continuously variable transmission (CVT), which has remained a staple since. The Sentra was redesigned in 2013 into its current-generation, carrying most of the sixth-gen forward, but replacing the inline four-cylinder engines with smaller, more robust four-cylinder options for better fuel economy. Most consumer complaints about the Sentra are from the 2004 and 2005 model years where high-mileage engines can blow head gaskets relatively easily. The 2013 Sentra is also noted for transmission issues, also at high mileage. The Sentra is otherwise about average in its reliability expectation compared to the compact car market. What Nissan Sentra model year and mileage can you get for your budget? The 2018 Nissan Sentra is a practical, well-priced compact sedan. Redesigned for this generation a couple of years ago, the Sentra ticks all of the boxes for the compact segment. Improvements from that generational upgrade were enough to make the Sentra very competitive in its segment. This year, the 2018 Sentra sees only minor shuffling of features through the trim packages and the addition of automatic emergency braking as standard on most trim points. The Sentra is otherwise unchanged from 2017. The 2018 Nissan Sentra is offered in six trim levels. 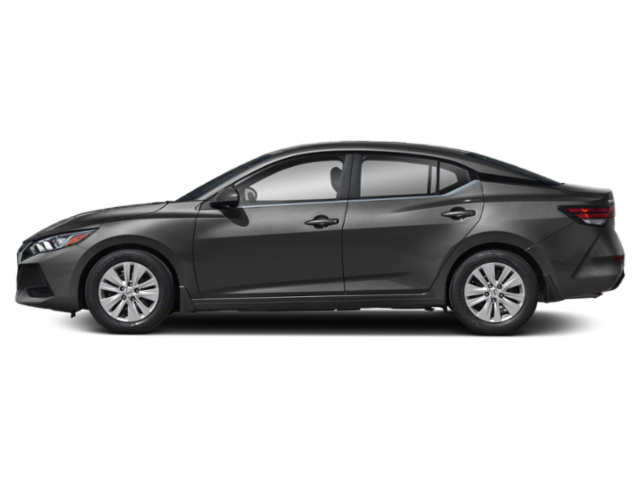 A manual transmission is available on the base model while a continuously variable transmission (CVT) is offered on the rest of the trim line. Front-wheel drive is the only drivetrain option, but a turbocharged engine is available on the SR Turbo and Nismo trims. The 2017 Nissan Sentra carries on the current generation's look and appeal as a practical, well-priced sedan for the compact market. Refreshed in 2016, the 2017 model sees little change, but what changes there are fundamentally change the car's position in the market. The Sentra has gone from an average offering to a much more competitive vehicle choice. Those changes include an improved interior that is quieter and has a more usable storage bin for the console. This augments the spacious back seat and excellent trunk space that were already features of the Sentra. Another addition is the SR Turbo model, which adds a sportier, more fun drive to the car. This sits above the mid-tier SV model in the SR line, but below the high-end NISMO package. It uses the same turbocharged engine the NISMO does, adding a lot of oomph and wooo to the Sentra's demeanor. In all, the 2017 Nissan Sentra is a well-balanced offering in the compact market. When Nissan launched the refreshed 2016 Sentra last year at the LA Auto Show, the company claimed this would be the year of the sedan. It was true as Nissan had introduced a fully redesigned Maxima and an updated Altima. But the Maxima was the only one to have some pizzazz and excitement. The Altima and Sentra were just somewhat plain. But maybe we are being a bit harsh on these models. There could be something we're not seeing. In the case of the Sentra, there is more to it than what the eye sees. The redesigned 2013 Nissan Sentra compact sedan arrives in the thick of a field brimming with hungry competitors. Though its pluses include roomy and refined interior, good fuel economy, smooth and comfortable ride, nice infotainment features and a huge trunk, other small sedans offer as much, if not more. Still, the 2013 Sentra is one of the least-expensive compact sedans in the market, attracting budget-minded consumers who don't want the look or feel of a cheap ride.